I must start my post once more with a slight apology for yet another small post as I’m still fighting illness that has resulted in the most extreme breakout of cold sores I have ever experienced. My lips have swollen to twice their size entirely because they are rammed with multiple cold sores. If anyone has any effective remedies they could recommend to reduce them, please share them with me. Anyway back to more pleasant things. Shiny things. 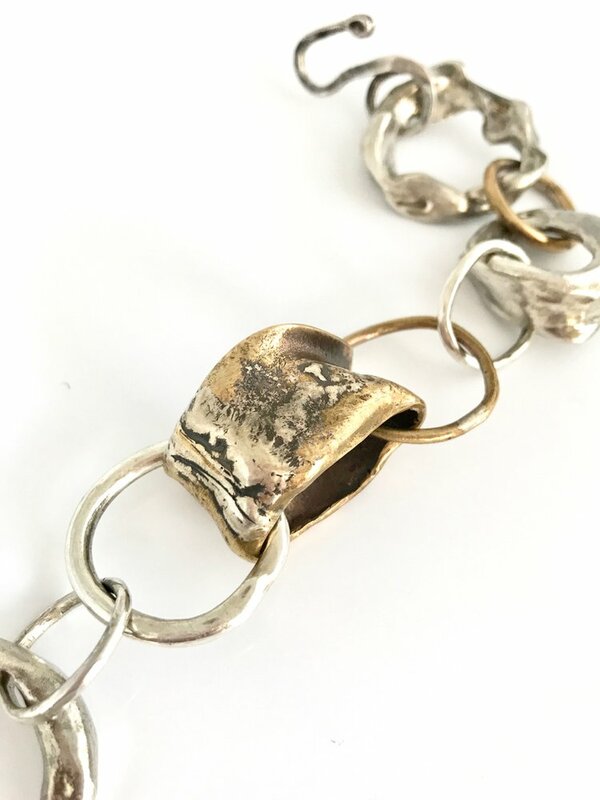 I know absolutely nothing about jewellery designer Barbara Beamiss except for the fact she is not formerly trained in making jewellery and that her beautifully distressed and hand forged pieces have left me scheming ways to acquire a few things for myself. 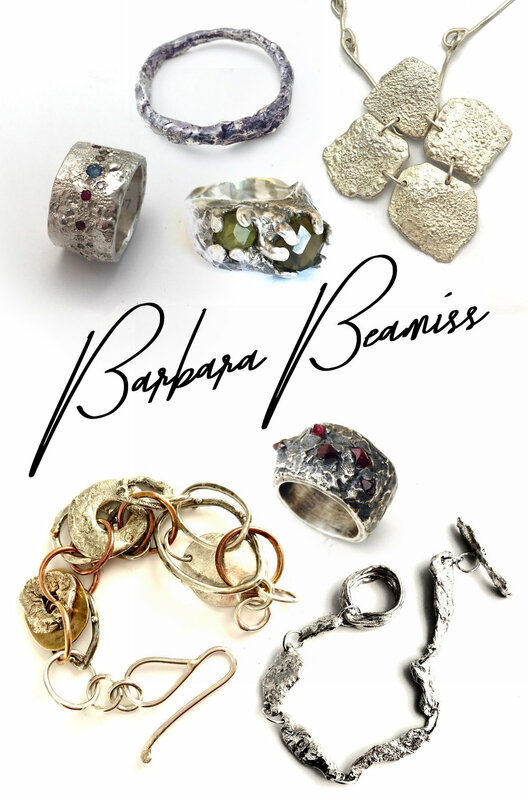 As you know, I love my jewellery to look imperfect and aged and Barbara’s jewellery looks like it’s been discovered in the ground. Since I have a real weakness for bangles, I have my eye on her Heavy Bangle in particular as it reminds me the beautiful Alicia Hannah Naomi Ash bracelet I bought a few years ago that fell off the first day I wore it and was lost forever. I am still devastated about that as I was never able to afford to replace it. The Molten bracelet is equally beautiful. In fact, I’ll just have one of everything please and I’ll hang it all off my cold sores.